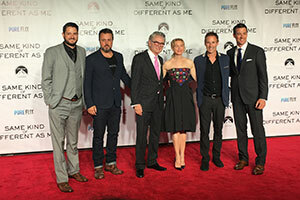 Mississippians rolled out the red carpet on a beautiful Thursday night in mid-October for a rare event: the Mississippi movie premiere of Same Kind of Different As Me. As hundred of folks from the Jackson area gathered at the Malco Grandview Cinema in Madison, many of the film cast and crew, taking breaks from their current projects, arrived into town by motorcade, here to celebrate the movie they had filmed in the state they had fallen in love with years earlier. Among the attendees included the author of the book on which the movie is based, Ron Hall, Academy Award Winning actress, Renée Zellweger, Director Michael Carney, Producers Stephen Johnston and Darren Moorman, and Co-Screenwriter, Alex Foard. The film is based on The New York Times best-selling book of the same name, and tells the true story of international art dealer Ron Hall, played by Greg Kinnear, who in the hopes of saving his struggling marriage to Debbie, played by Renée Zellweger, reluctantly volunteers at a homeless shelter and ends up befriending a homeless man Denver Moore, played by Djimon Hounsou. If you are looking for an uplifting, powerful, and well-acted movie this holiday season, this is it. It is a story of redemption, healing, growth and grace. It’s also more than a movie, bigger than one person, one family or one state. However, there is one very special local family integral to the film’s creation and the powerful impact it is having around the country. That family was also in attendance at the movie premiere – Stephen Johnston, producer, lead investor in the film and a Mississippi native, his wife Melissa, and their four children Mary Hunter (who scored a small credited role in the film) Bennett, Isabelle and Charlie. It is their amazing journey of faith that not only helped bring this movie to life but is also changing lives locally and beyond. 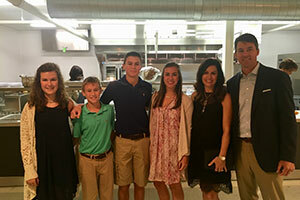 Stephen and Melissa are high school sweethearts, both from Jackson, and after a brief stint in North Carolina, they returned to Mississippi where Melissa focused on raising their four children while Stephen made a name for himself as a successful businessman. A moviemaker he was not. That changed however when a “divine-inspired series of events” led Johnston to have the opportunity to become the lead investor in the project. While he admits it was a “true act of faith, a real tester for them”, they ultimately felt that God was leading them to “help get the story told”. 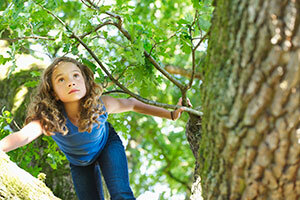 (While Johnston did sell his business for $100 million in 2012, his take home was not close to that figure as recent reports have suggested, making this decision a huge financial commitment for his family). And so the movie was made. It was important to Johnston and his producing and directing partners that during the filming process they carry on Debbie Hall’s legacy of helping others. That’s why, when the movie was filmed in downtown Jackson and surrounding areas in the fall of 2014, they used budget money and large donations to completely refurbish the Central United Methodist Church Community Center on Farish Street, where many of the scenes were shot. During a brief interview on the red carpet, Ms. Zellweger elaborated, explaining that one of the reasons she was drawn to the movie, aside from the beautiful story, was the fact that the filmmakers wanted to carry on the legacy of Debbie Hall, the character she plays. The Community Center on Farish Street, a dilapidated building when filming began, was completely transformed during the shooting thanks to volunteers from around Jackson, including folks from the Bellwether Church, and Green Oaks Landscaping Company. Once the movie wrapped, the interior was renovated and an incredible new kitchen was constructed. It was “a much larger project than originally thought” Johnston said, as they had to get the building up to code, install a new AC unit and drainage, but “it is a beautiful kitchen, probably one of the nicest in the state of Mississippi and it is there for a long time to serve others.” Today, Pastor David McCoy sees his vision of equipping low-income people with job skills coming to life in the refurbished kitchen. “This film is an extension of Debbie’ Halls legacy… boy did she make a difference.” Renée Zellweger said on the red carpet. The same could certainly be said of the Johnston family.